Why do you need an audio tag editor software? 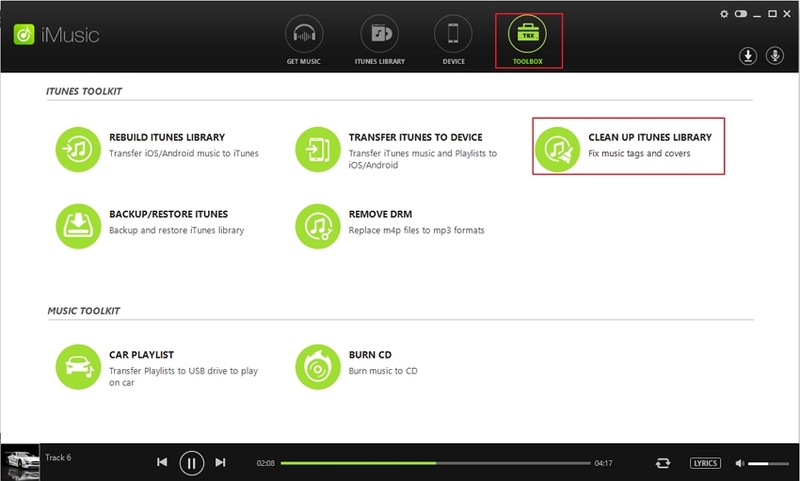 If you’re a music lover, you probably have a good amount of music files stored on your PC or Mac. You might want an audio tag editor software to categorize the music files in order as it can take quite a while to choose your playlist then or to find the song you need. Plus, categorizing your music together can just make it look a whole lot cooler and you can even listen to say pop music at a time or to rock music if you’re in another mood. 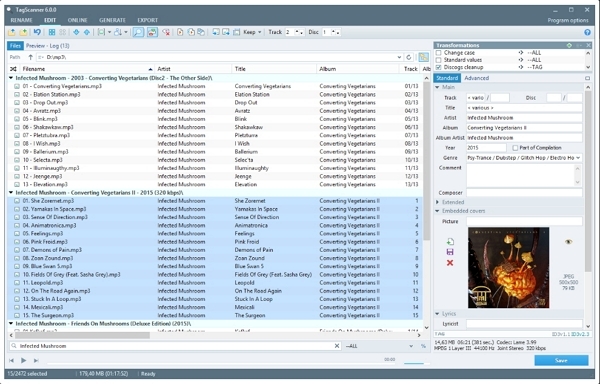 Audio tag editor programs are great for categorizing your music collection. Some are standalone audio tag editors and some are add-ons for the music players, but all can do the job for you. If your files have better tagging, your search will be effective and fast. Here are the best audio tag editors for Windows, Mac, and Linux. Here is a look at one of the audio tag editors for Windows. This audio tag editor for Windows is developed by X development. 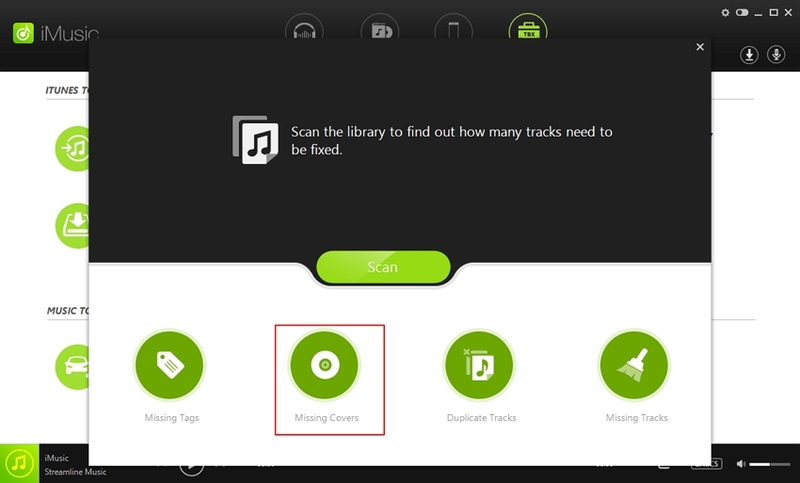 It is a multifunction program for managing and organizing music collection.The program allows the tag editing of the all audio formats, renaming of files according to tags, generating tag information from audio filenames and converting text of tags and filenames. 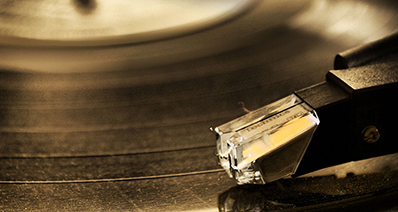 It is known to use online database like Freedb, Amazon, and Discogs. This audio tag editor for Windows also supports ID3v 1/v2, APEv2, vorbis Comments, WMV, and MP4 tags. 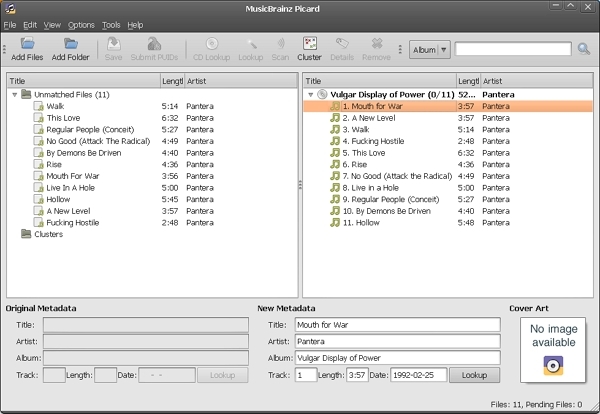 You can also generate and export playlists in the form of HTML or Excel. It is free to download and constant updates are released regularly. -	Supports all ID3 versions, APE v1 and v2 tags, WMA tags, Vorbis Comments and MP4. -	Supports embedded lyrics and cover arts. -	Export information in formats such as HTML, XML, and CSV. -	It supports Multilanguage interface. -	It is a standalone program for user’s computer. -	Its features include basic tags, extended tags, renaming, and tag processing. Moreover, you can preview tags and cover arts from the database like Freedb before you save them. -	It is an unrestricted freeware. -	Supports all major formats such as mp3, mp4, wma, ape, mpc, aac, flac, spx, ofr, tta, and wv. -	Its interface is unintuitive and takes a little time to get hang of it. -	As the options are advanced, it takes more input than you expect. -	There is no portable version of the software. This audio tag editor for Mac OS helps you edit tags information easily and effectively. You can edit, rename with metadata and covert text encoding of music tag in batch. The software also repairs the mismatched or corrupted codes. It supports formats like MP3, M4A, Mp4, ID3 for Flac files. -	This audio tag editor for Mac OS supports ID3 versions, and iTunes tags including, titles, album, copyright, genre, lyrics, etc. This saved information will be available for you on other Apple devices. -	This audio tag editor for Mac OS supports batch processing hence lot of music files can be scanned. -	Batch renaming allows you to change the name from metadata. -	Changes or converts tag text encoding and also repairs corrupted tags. -	Through this program, you can search for lyrics with search options such as LyricsWiki, AZlyrics, MetroLyrics, DarkLyrics and many more. -	Well integrated with iTunes. -	It has great user-friendly interface, which integrates all necessary fields effectively. -	It also has full screen mode. -	Rename and other functions are available from tool bar. 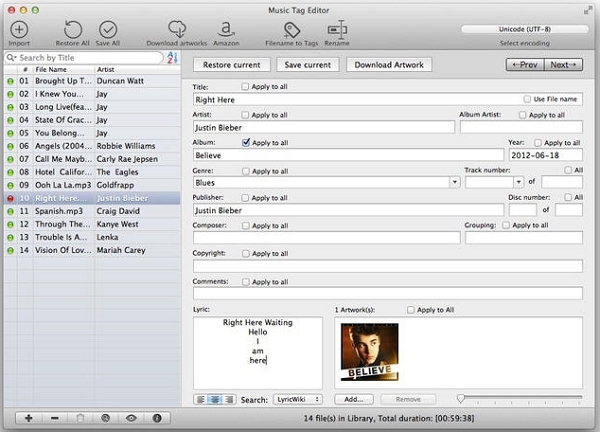 -	It is integrated with iTunes and synchronizes the tags to other devices for the same user. -	Supports all the formats played by the iTunes. -	It is not a standalone software, if you do not play music on iTunes. -	There is not portable version of this software. -	Often confusing due to many advanced detail on one single window. 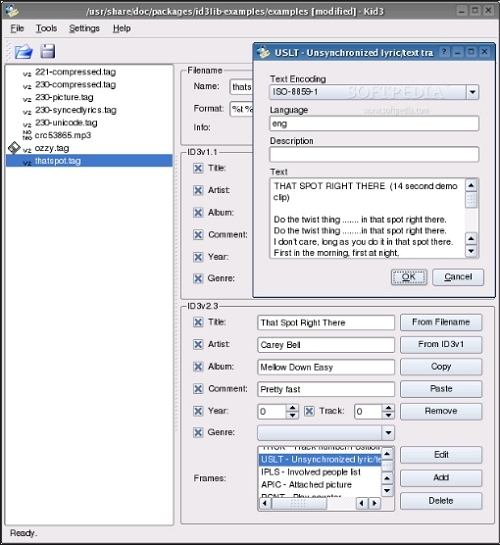 This audio tag editor for Linux multiplatform software and supports all editing tags. With these software you can generate tags using filenames and vice versa. You can also import tags from online database, which includes gnudb.rog, Discogs and many more. Application also allows you drag and drop a cover art. Searching arts and lyrics is also easy. Other features include conversion between ID3v1.1, ID3v1.1 and ID3v2.4 tags. -	Edits tags in formats like MP3, ogg/vorbis, DSF, FLAC, MPC, Opus, Speex, WMA, WAV, AIFF and tracker modules. -	Generates tags for content and filenames. -	Automatically converts lower case and upper case and replace strings. -	Exports tags in file formats such as CSV, HTML, XML, and playlists. -	You can automate task using command line interface, which is advantage of Linux. -	This audio tag editor for Linux is a stand-alone product. -	Edits all tags, and generates them from sources like files, databases etc. -	An open source freeware hence new updates are constantly available. -	There is portable version of software. -	Supports multiple platforms Linux, Mac OS, and Windows. -	It does not have column view for multiple files, which is a major flaw. -	If you want to use advanced features, you will require a little help of online manuals. -	Requires command line knowledge to automate the tasks. All these audio tag editors for Windows, Mac, Linux can help you perform the most basics and advanced job for you. They are easy to use and should you find any difficulty, there’s always the online manual to use it more efficiently. More importantly, don’t worry about categorizing your music any more or spending hours trying to get the playlist. Now, you will know just which music to add to your playlist and it wouldn’t take a lot of time!